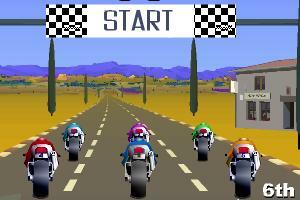 Description:This race motorcycle game features one track with five segments. You have 30 seconds for each segment, don't run out of time! Instructions: Use Arrow Left and Arrow Right to steer, Arrow Up to accelerate and Arrow Down to break. The Escape Key let's you abort a race.